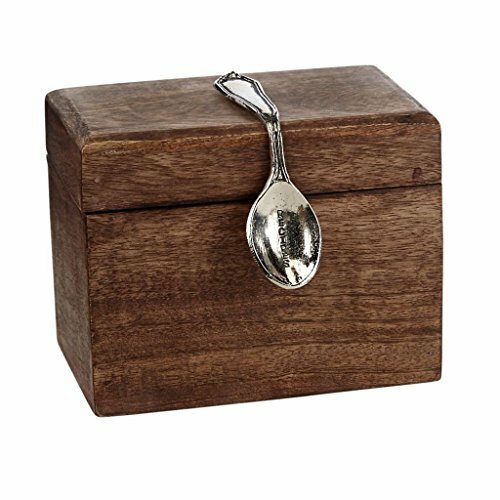 This lovely wooden recipe box set features an attached silverplate spoon with the word RECIPES. The box has a hinged lid and comes with 10 kraft recipe cards to get you started. Made by Mud Pie, this cute recipe box measures about 6.25" long by 5.2" tall by 4.2" front to back. Dimensions: 5" x 6 1/2"